Reviewed by H. James in Business History Review (2002), T. Porter in Journal of Economic History (2002), M. Schneider (2002) in sehepunkte.historicum.net, R. Middleton in History of European Ideas (2003), B. Kulla Kyklos (2003), K. Borchardt Historische Zeitschrift (2003), M. Labbe American Historical Review (2003), T. Ferguson, Journal of Economic Literature (2003), A. Ritschl in Review of Financial History (2004), H. Pearson in Journal of Modern History (2004). Article-length discussion in M. Perlman and M. Marietta, ‘The Politics of Social Accounting‘, Review of Political Economy, 17 (2005), 211-230. Invited Contributor, History of Development of modern economic statsitics for the Bundeswirtschaftsministerium 2012. ‘Die Vermessung der Welt: Ansaetze zu einer Kulturgeschichte der Wirtschaftsstatistik’ (Measuring the world: approaches to a cultural history of economic statistics) H. Berghoff and J. Vogel eds. Wirtschaftsgeschichte als Kulturgeschichte (Frankfurt, 2004), 92-104. 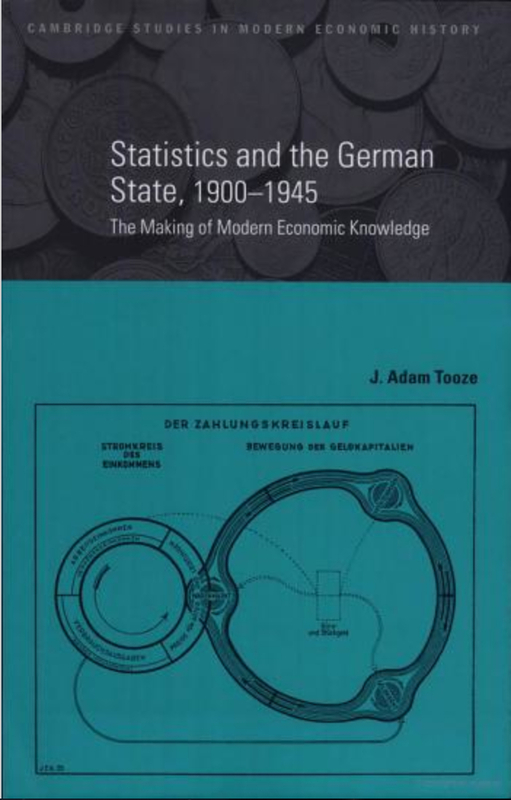 Macroeconomics Denied: German Business-Cycle Research 1925-1945’ in D. Ladiray ed., Monographs of official statistics. Eurostat. European Commission (Luxemburg, 2003), 133-160. `Imagining National Economies: National and International Economics Statistics 1900-1950′, in G. Cubitt, ed., Imagining Nations Manchester University Press 1998 (Manchester, 1998), 90-125. ‘The Knowledge of Occupation – Reflections on the History of Economic Statistics in France and Germany, 1914-1950.’ in B. Zimmermann, C. Didry, P. Wagner, eds.,Le Travail et la Nation, Édition M.S.H. (Paris, 1998). (in French), 55-80.